Not only has one of the best seasons arrived, fall, but so has one of the best holidays, Halloween! Whether you are hosting a party or want to fill your little trick-or-treaters tummies with a warm meal before their long night of candy collecting, we have paired a few delicious fall-inspired recipes we think you should try! Tear lettuce into bite-sized pieces and place in a large salad bowl. Add watercress leaves. Cut apples into very thin wedges and place on top of greens. Sprinkle pecans and blue cheese evenly over salad. For Dressing: place oil, vinegar, shallot, lemon juice, maple syrup in a small jar with tight-fitting lid. Shake until evenly combined. Drizzle dressing over salad. Toss gently and serve immediately. For Filling: place chicken in large stock pot. Cover with water and bring to boil, then lower heat to simmer. Cook until chicken tender, about 1 hour. Remove chicken from water, cool, remove skin and bones. Cut meat into bite-sized pieces and set aside. Strain the cooking liquid, measure out 2 ½ cups, and discard the remainder. (Canned chicken stock may be substituted). In a large saucepan, melt butter; add onion and celery. Sauté over medium heat for 10 minutes. Add flour, salt and pepper. Cook about 5 minutes, stirring constantly to make a roux. Slowly pour in reserved cooking liquid, stirring to make a smooth gravy. Cook until thickened, about 8 minutes. Add chicken, carrots, peas and thyme. 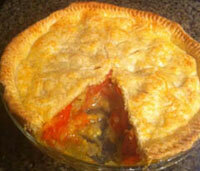 Pour into deep pie dish or round casserole, about 9 inches in diameter. On a highly floured board, roll pastry into a 10-inch round. Using a decorative cookie cutter, cut a shape from the center of the pastry round. Lay pastry over the filling, fold edges, under and crimp firmly against rim of dish. 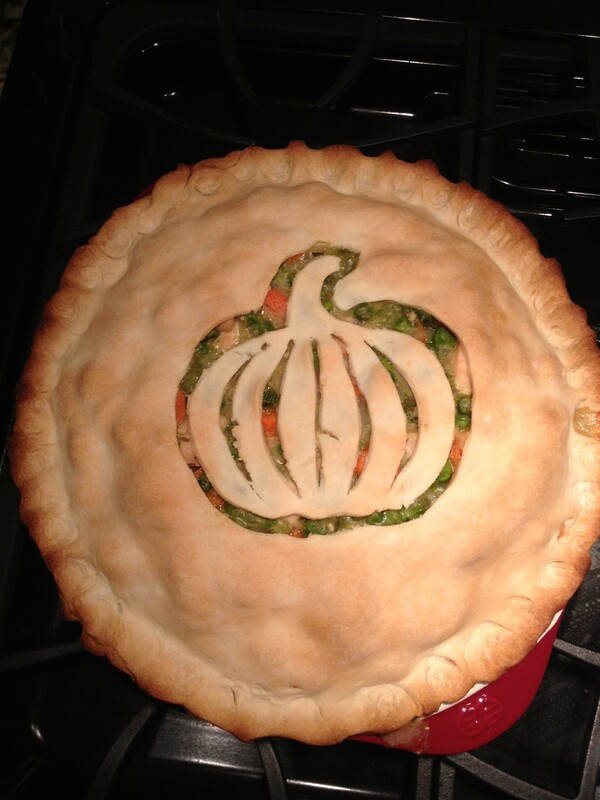 For decoration, moisten the bottom of the pastry cut-out and place it next to space from which it was cut. Place pie on baking sheet and bank on the lowest rack of preheated oven for 45 minutes, until pastry is golden brown. Remove from oven and cool 10 minutes before serving. Both recipes can be found in Simply Classic: The Junior League of Seattle on pages 82 and 166. The Junior League of Seattle has recently re-released (due to popular demand) our Seattle Classic Cookbook. Originally printed in 1983, this cookbook is fun to peruse and sure to bring back fond memories of classic ‘80s dishes. Of course, no ‘80s cookbook would be complete with Jell-O, or in this case, gelatin. In a saucepan, thoroughly mix gelatin, ½ cup sugar, and salt. Beat together egg yolks, lemon juice, and water and stir into gelatin mixture. Cook and stir over medium heat until just boiling. Remove from heat and stir in lemon zest. Chill mixture, stirring occasionally, until partially set. 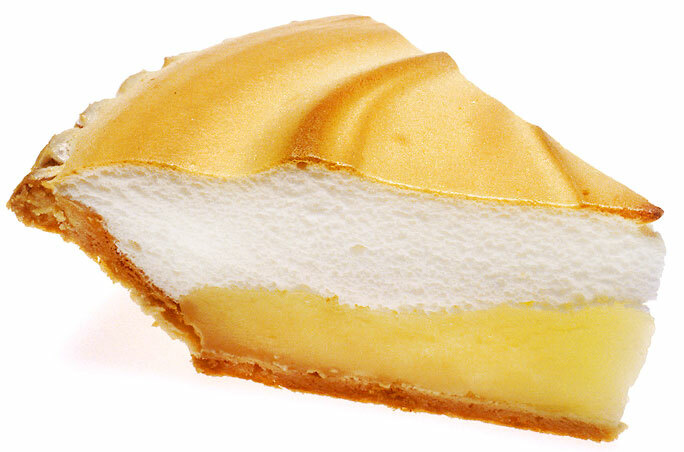 Beat egg whites until soft peaks form. Add remaining sugar and beat again until stiff peaks form and sugar dissolves. Fold into gelatin mixture. Fold in whipped cream, pour into crust and chill. Just before serving, frost with a thin layer of whipped cream and sprinkle with lemon zest. Hosting a Mother’s Day brunch this year and stumped for recipe ideas? The Junior League of Seattle’s Celebrate the Rain cookbook has many great ideas to treat the best women in your lives. Junior League member, Stacy Loya Harris, has shared a few of her favorite recipes and tips for getting this all done! Hopefully her tips and photos will help inspire you with your own brunch. Stacy writes, “For the past few years I have been hosting a Mother’s day brunch for my Mom, Mother-in-Law and family. This year I wanted to mix it up with a few new recipes. When I purchased Celebrate the Rain a few months ago, I was excited to see so many great brunch recipes and decided to try a few this year. With so many recipes to choose from, I managed to narrow my list down to the Tomato Cobbler with Gruyere Crust, the Best Bacon and the Herbed Prosciutto and Gruyere Croque Monsieur. This recipe appealed to me because I love the combination of fresh tomatoes and basil. Also, I love cheese, so the gruyere crust sounded really appealing. This recipe is not very complicated, but it is time consuming. It takes about 3 hours from start to finish including the chilling time for the dough, baking time and cooling time. If you are going to make it for brunch and don’t want to get up super early, it can be made the night before. The method of making the crust in the food processor is really simple; the dough came together nicely after 8-10 seconds, as the recipe states. While the dough was chilling, I prepared the tomato filling. The recipe calls for 2lbs of cherry tomatoes but I substitued with 2lbs of roma tomatoes since romas were on sale that week. I seeded and chopped the tomatoes into about 1 inch pieces. After about an hour, I took the dough from the fridge and rolled it out on a floured surface. I had plenty of dough to cover my 9inch pie dish. I brushed the dough with an egg wash and sprinkled a little shredded gruyere on top, and it was ready for the oven. The end result was fantastic! It came out of the oven a perfect golden brown. (See image above right.) The onions, garlic, tomatoes, basil and gruyere crust smelled delicious and tasted even better. My family gave it rave reviews. This recipe is definitely a keeper. The Best Bacon really is the BEST bacon. The combination of sweet, salty and a bit of spice makes for an amazing combination. Besides the amazing taste, the best part about this bacon recipe is how simple it is. All you do is spread the bacon out on a rack on a foiled lined sheet pan, sprinkle with brown sugar and a little bit of pepper and cayenne then throw it in the oven for 20 minutes at 425 degrees. Viola! The BEST Bacon! 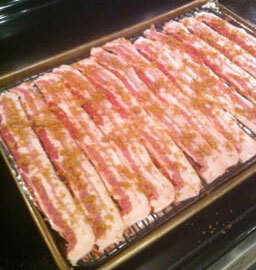 In fact, I was told that this bacon and only this bacon should be made in our house from now on. 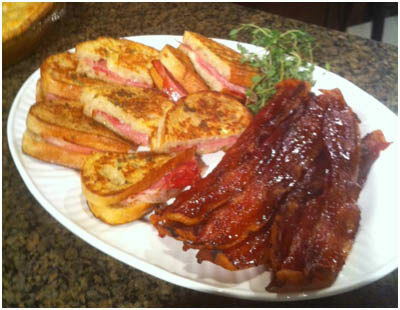 The final recipe I tried for my brunch is the Herbed Prosciutto and Gruyere Croque Monsieur. When I think of Croque Monsieur, I think of fancy french restaurants, so when I looked at this recipe I was surprised at how easy it sounded. It is basically a grilled cheese, except the bread gets dipped in an egg mixture and sprinkled with herbs prior to grilling it. The egg mixture with the herbs makes the bread nice and crisp and adds a layer of flavor that compliments the salty gruyere and prosciutto. So don’t be intimidated by the name of this dish, try it! Interested in preparing this meal for the special woman in your life this Mother’s Day, but don’t have a copy of Celebrate the Rain? Click on the title of the book and visit our webpage to order your copy by Friday, May 4, 2012, and you can get one in time to show your appreciation for all she contributes to your life this Mother’s Day. 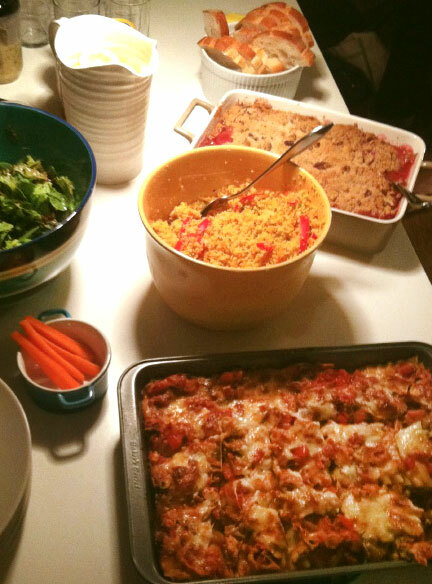 The easiest way to host a large group of people for dinner is by having a potluck. Making one recipe, while getting to eat several dishes, is a win-win situation. If you’re lucky, you will probably even have leftovers, and if you keep some containers on hand so you can send your friends home with leftovers too! The main dish for our Junior League of Seattle potluck, Lasagna Cacciatore, is a delicious combination of lasagna and chicken cacciatore (just in case the name didn’t give it away). 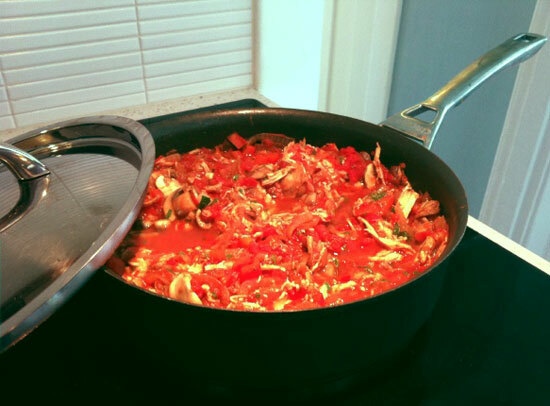 The recipe for Lasagna Cacciatore can be found The Junior League of Seattle Cookbook Celebrate The Rain on pg. 131. If you want to cook something simple, filling, and cozy that can be put in the oven with no last minute finicky components, than this is the perfect recipe for you! You will find the main recipe instructions in your copy of Celebrate The Rain, but here are some tips, hints, and photos from our personal experience. As you read through and follow the recipe, take note of some of the hints below. The book also gives good tips, so make sure to read it thoroughly before you get started! Decide if you want to buy double the quantities so you can freeze some for another time. This recipe is simple to make, but it is still potentially time consuming. 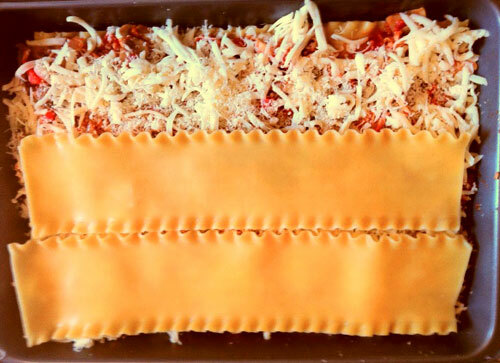 So, make sure you give yourself enough time to put this delicious lasagna puzzle together! Once the chicken was browned for a couple of minutes on either side, you can put it in the oven on 350 for about 10 minutes. 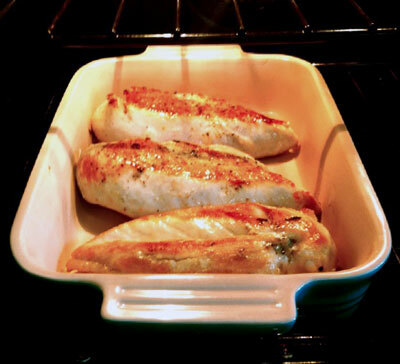 Cooking it in the pan can make it too brown and crispy, and the middle may remain uncooked. Baking it speeds up the cooking and keeps it moist. 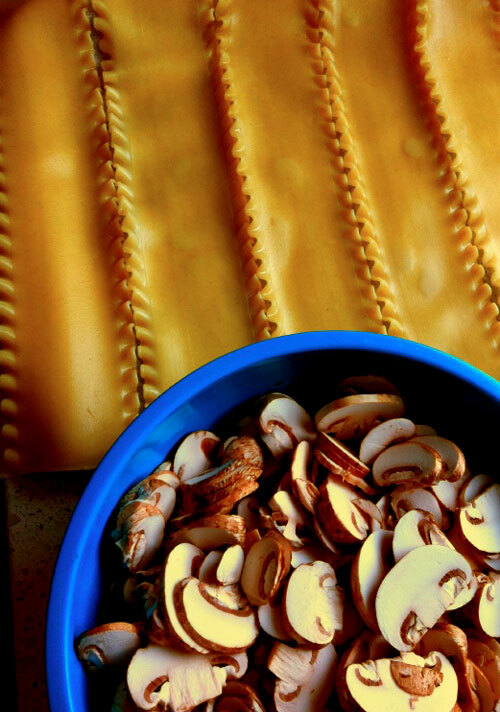 Try fitting the lasagna noodles into your pan first so you know how many to use. Even standard sized lasagna pans vary in real dimensions, and no one wants to have too few noodles! The serving size for this dish is closer to 10 if you are eating it with a side dish. We had a lot left over after eating it with 10 ladies. Viola! The finished product. Enjoy your potluck! 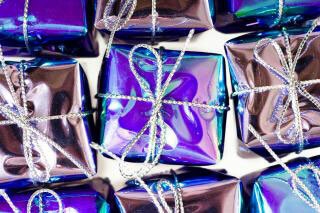 Food gifts are a fun way to share the love during the holiday season, special occasions, birthdays, and more. Luckily, the Junior League Cookbooks make this even easier, with several recipes that are perfect for sharing. The Hazelnut Cinnamon Crisps are a perfect gift for sharing and an easy recipe for the holiday season. Found on page 217 of the Simply Classic cookbook, the recipe makes 80 cookies (which is a great number for splitting up among multiple groups. Furthermore, hazelnuts are the perfect seasonal nut. The White Chocolate Cheesecake (page 236 of Simply Classic) is a great cake to bring to friends. The red raspberry glaze brings some holiday cheer, and makes for a lovely presentation. While it won’t ship easily, it is a perfect dessert to bring to family and friends. The Better than Mom’s Oatmeal Cookies are an easy oatmeal cookie recipe (page 218 of Simply Classic) that makes about 4 dozen cookies. Everyone like oatmeal cookies and these look good and ship well! Lastly, the Bite Size Bourbon Cakes (found on page 246 of the Junior League of Houston’s Peace Meals cookbook) will give you 30 individual cakes, with pecan, bourbon, and gingersnaps to flavor the cake. Easy to share and right for the season! What other recipes do you like to share and gift during the holidays? The Junior League of Seattle is not the only League that produces excellent cookbooks. In fact, cookbooks are a major source of revenue for Junior Leagues throughout the country. Peace Meals, by the Junior League of Houston, is another popular cookbook. Peace Meals was released in September 2008 and is the Junior League of Houston’s fourth cookbook; the organization’s first in over 10 years. This recipe has been adapted from their Greek Quinoa Salad. 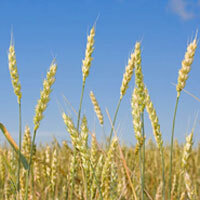 Quinoa is the grain du jour lately, but there are a wide variety of protein rich grains. A lesser known, but equally tasty grain, is farro, which has been swapped for quinoa in this recipe in addition to a few other modifications as seen in the recipe below. Combine the farro and broth and bring to a boil. Reduce to simmer and cook until the liquid is absorbed and the faro is fluffy, or about 30 minutes. In a small bowl, whisk together vinegar, garlic, lemon juice and rind, oregano, and olive oil. In a large bowl, combine the remaining ingredients except s&p. Fold in the farro and dressing, then season with salt and pepper to taste. Serve immediately at room temperature. 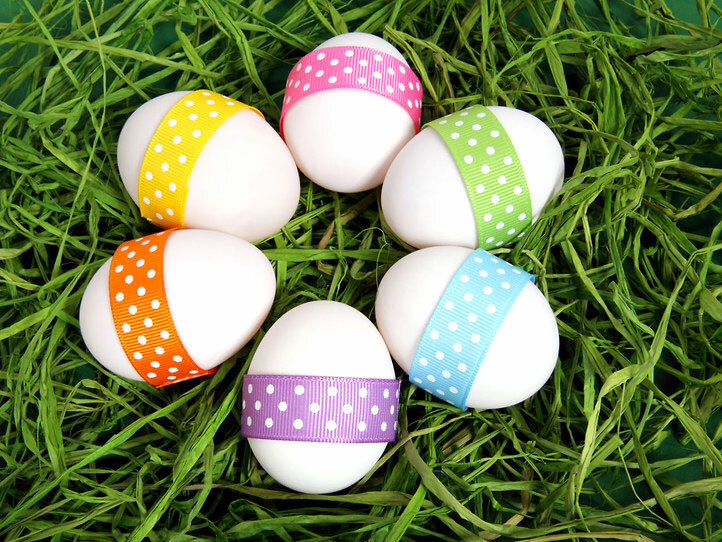 Looking for something new and exciting for Easter brunch? The Junior League of Seattle’s Simply Classic cookbook can help! Lamb, one of the most traditional Easter foods, has its place at any table. So, if you are looking for a new lamb recipe to try, the Leg of Lamb Stuffed with Spinach and Hazelnuts (page 190 of Simply Classic) will be a crowd pleaser! The mouthwatering stuffing and savory sweet sauce add a spectacular richness to the roast lamb. 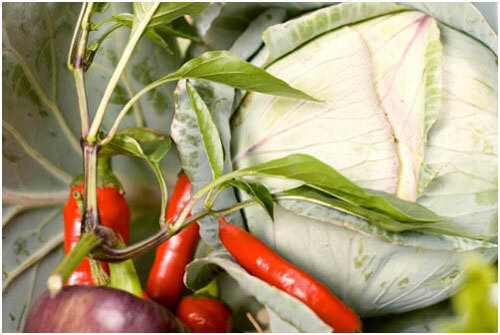 This recipe, while long in ingredients and steps is still simple in its execution. This is the perfect dish to make together with family as there is something for everyone to mix – stuffing, rub, and sauce. If you’re looking for a side dish to pair with your lamb, consider the Meadow’s Edge Salad (page 80 of Simply Classic) and Rosemary Biscuits (page 56 of Simply Classic). If you don’t already have a Simply Classic cookbook, be sure to pick one up before Easter and add this recipe to your holiday menu!